Sterling Ponds is a 40-acre residential community located in Richland County, SC adjacent to the Coatbridge community, it’s sister neighborhood. DR Horton and Fortress Builders make up the building team in Sterling Ponds and offer new, customizable homes starting in the high $200’s. The amenity area includes a swimming pool and open-air cabana for homeowners to enjoy. 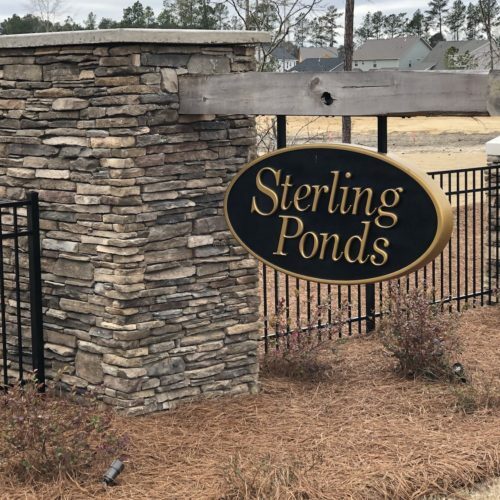 Sterling Ponds is served by the award-winning Richland School District Two and is located within the Roundtop Elementary, Blythewood Middle and Blythewood High school attendance areas.